Not coolnafter waiting for so long then to receive the mail and the items are missing. 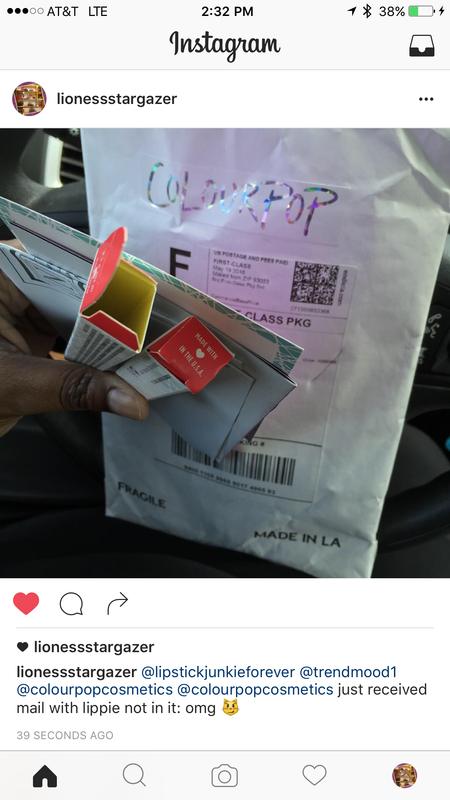 ColourPop must do better. Also, the package was basic and not very secure.